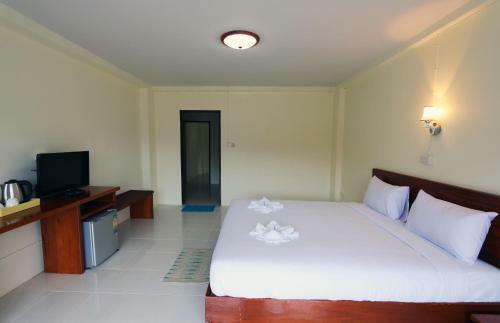 Fahsai hotel aonang is conveniently located in the popular Ao Nang area. The hotel offers guests a range of services and amenities designed to provide comfort and convenience. To be found at the hotel are free Wi-Fi in all rooms convenience store daily housekeeping taxi service Wi-Fi in public areas. Designed for comfort selected guestrooms offer television LCD/plasma screen additional bathroom additional toilet complimentary instant coffee free welcome drink to ensure a restful night. Entertain the hotel's recreational facilities including outdoor pool pool (kids). For reliable service and professional staff Fahsai hotel aonang caters to your needs.